Christmas is slowly starting to creep its way into our home. I’ve had boxes and boxes full of ornaments, ribbons, garland and lights scattered around every room in our house for the past two weeks now. It drives my husband crazy, but in our home, decorating for the holiday’s is a process. And usually a slow process. I like to make sure I have everything just right. I take my time creating a beautifully decorated Christmas tree and I make sure each room has a little bit of holiday cheer spread throughout it. I love creating a beautiful, cozy and inviting home for my family and loved ones over the holidays. 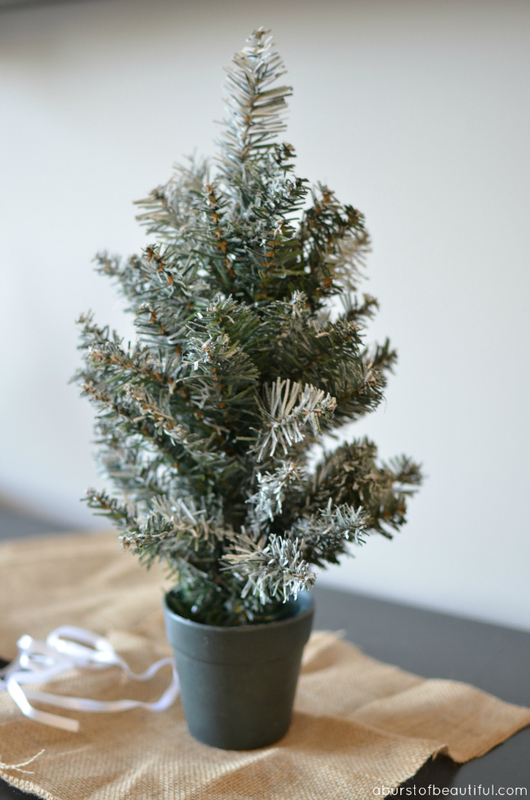 Today I’m sharing a simple and quick holiday project with you. 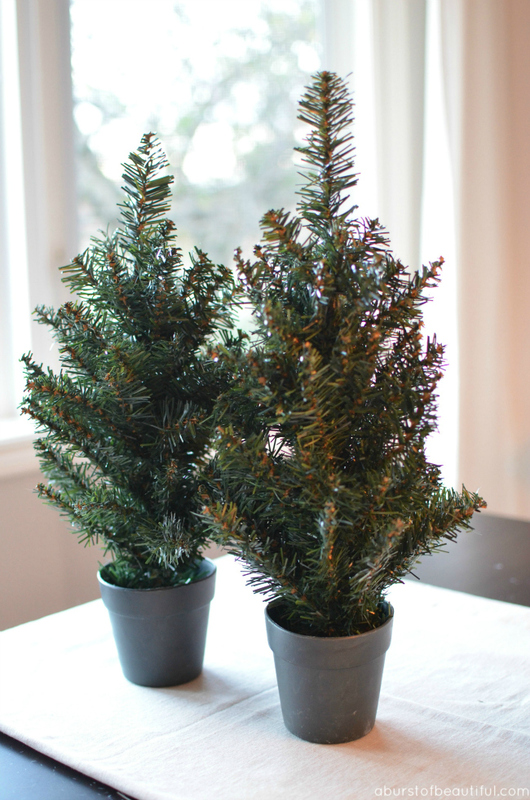 I love the rustic and organic feel of mini Christmas trees in a burlap sack, so when I was browsing the dollar store last week and spotted these I just knew I had to scoop up a few. Your miniature Christmas tree will likely be a little misshapen, so you will need to fluff and shape it into a tree form. Spray your tree with an artificial snow spray and allow to dry (be sure to follow the instructions on the can). Centre the pot in the middle of your burlap square and bundle all four corners to the top and secure with a ribbon. And you have your very own Miniature Frosted Christmas Tree! If you’re looking for more Christmas inspiration, make sure you check out these 19 Free Christmas Printables and Vignettes.